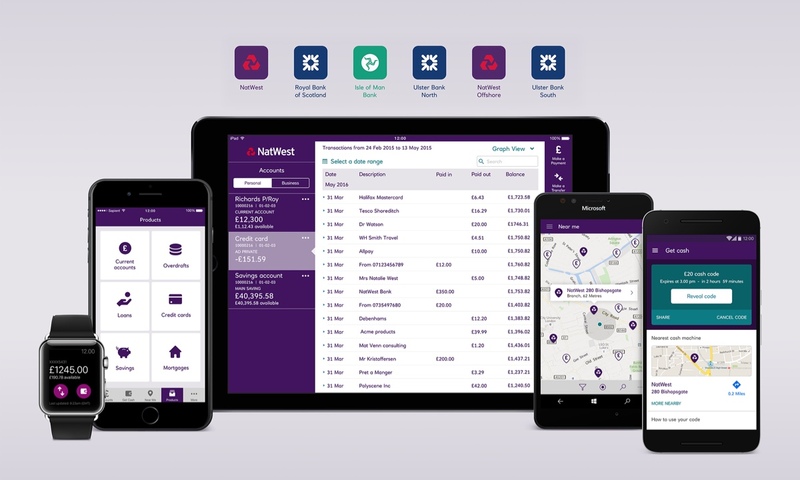 Creating a best-in-class range of native mobile banking apps. 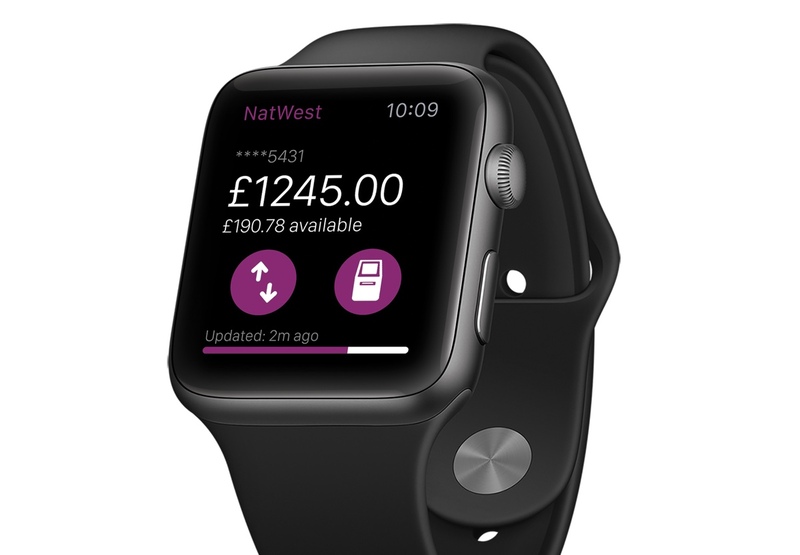 I was part of a small design team, developing core banking features for mobile, tablet and wearables across iOS, Android and Windows platforms. During my time on the project we went from a 2.5, to a 5-star rated, award winning range of apps with 5 million active users. Brand new operating system. Brand new app. 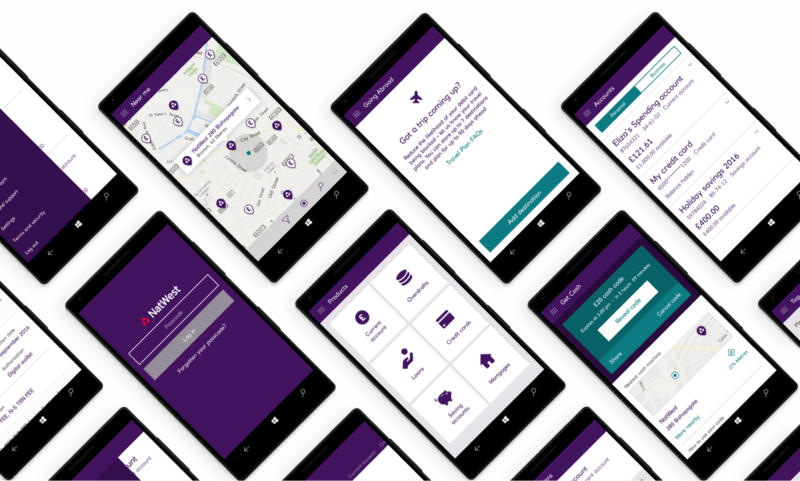 With the launch of the new Windows 10 operating system, Sapient got the opportunity to fully redesign one of the existing apps for the very first time, and I was tasked with leading the design. 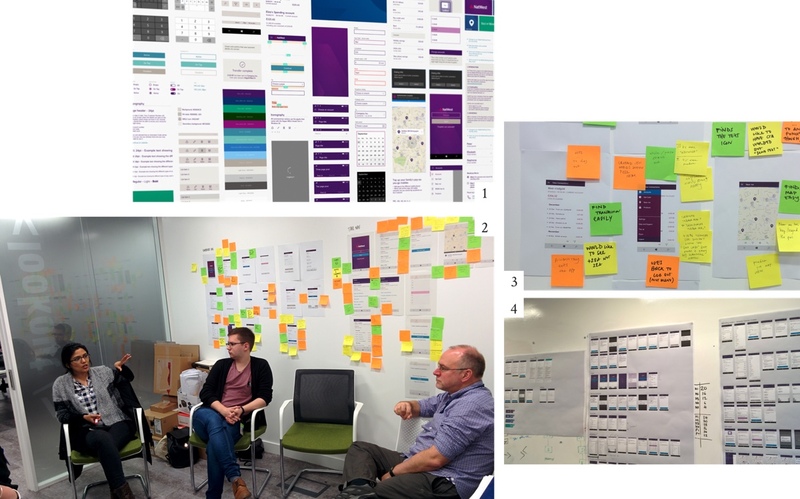 We built the new app on a comprehensive design system allowing us and the development team to apply detailed designs in a fraction of the time it would have taken following our traditional approach. In just a few months, we went through prototyping, user testing, design and development. 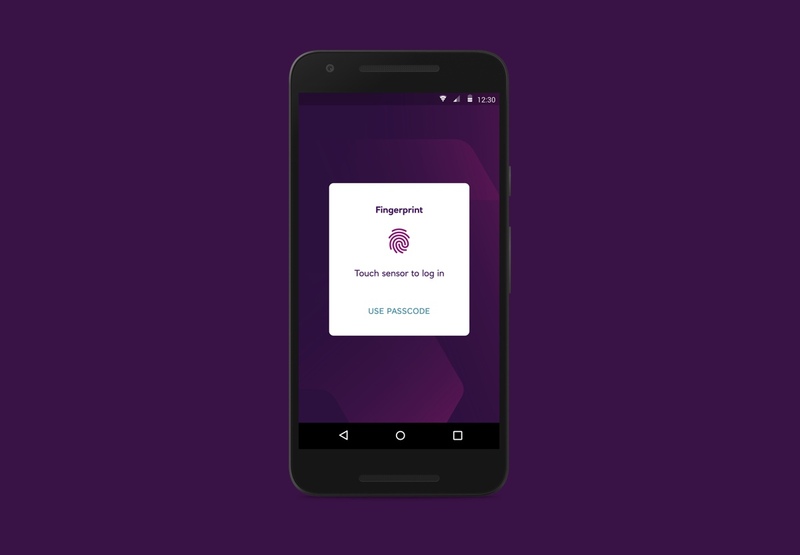 The result was one of the most complex mobile apps to launch on a brand new operating system, completely in line with the Windows Interface Guidelines. 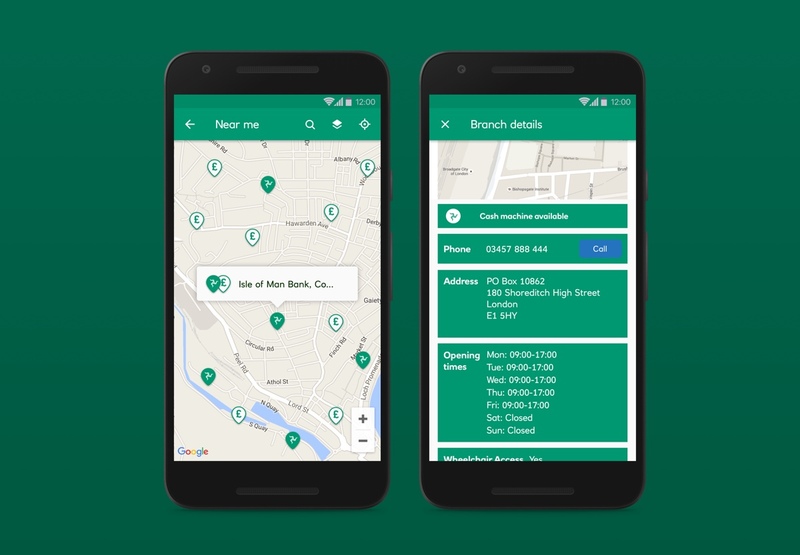 A lot of work went into making our apps the first and only UK banking apps accredited by the Royal National Institute of Blind People (RNIB) for its inclusive designs. 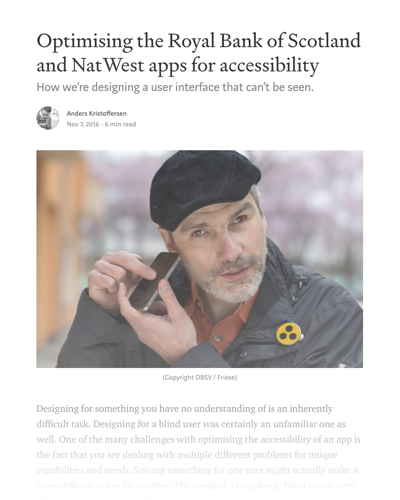 Working closely with RNIB we conducted user research and testing with blind and visually impaired users to optimise the experience for all abilities. If this sounds interesting, I wrote a whole Medium post about designing user interfaces that can’t be seen. 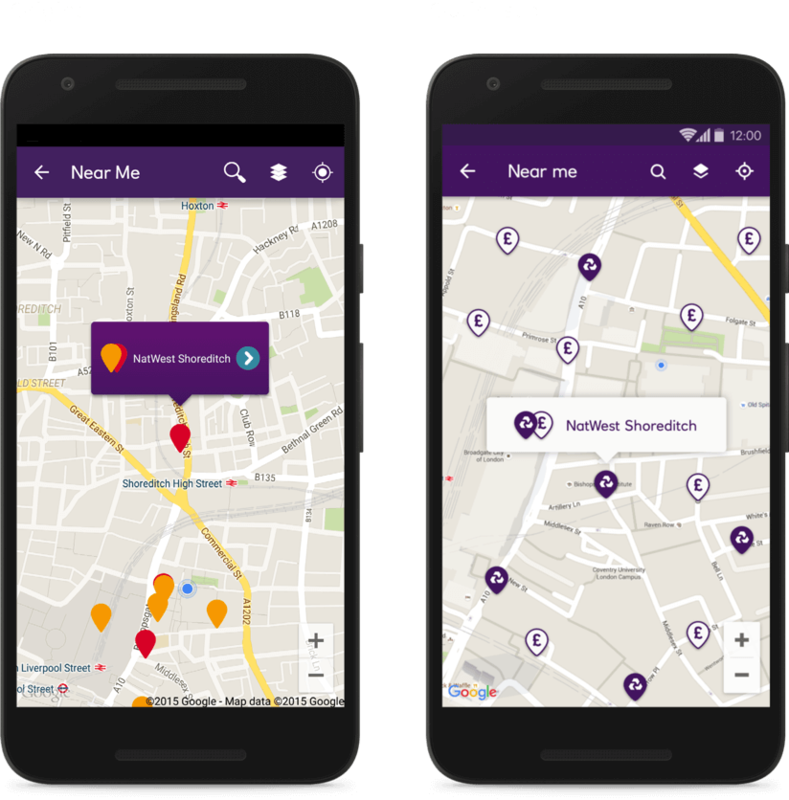 You can find it ﻿here, Or you can check out the BBC’s take on how the new app empowers users. A colour blind user will have a significant problem distinguishing between cash points and branches (shown in red and orange), so we refreshed the design – arguably making it more understandable for everyone. A lack of contrast in both colour and shape is a great excuse to refresh an outdated icons set! Shifting from a waterfall- to an agile methodology we started to add more value at a higher pace. 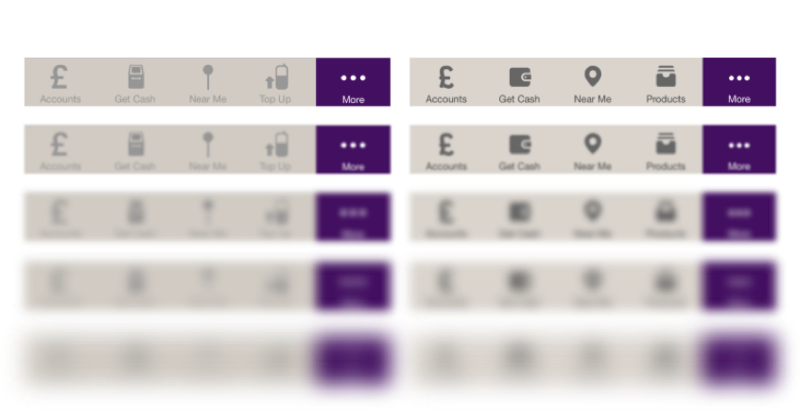 I helped deliver dozens of core banking features, UI improvements, and innovation ideas druing my time with RBS/NatWest.